3 What Is a Trail Camera? 4 How Do Trail Cameras Work? 11 How many trail cameras do I need per acre? 12 Will a trail camera work through glass? One of the tools used by many hunters is a game camera, which allows seeing patterns in animal movements. But there are so many brands and such a huge variety of models available on the market today. So how do you choose the best game camera for the money? If you are new to game cameras, first, you can take a look at our buying guide. There we explain their specs, features and what to look for. On the other hand, if you are looking to upgrade your current trail camera, in these game camera reviews we have narrowed down the models of 2019 to top 10 best trail cameras. Below we have created a comparison chart, under which you can also read trail cam reviews for each of these models. In the chart, we have included the most important features and trail camera ratings. The top 10 models that we have chosen are the bestselling and highest rated this year. They also provide the best features and high quality, reliability and durability. Our top choice of the best trail cam for the money is Campark Trail Game Camera which is available in the mid-price range. It also offers both 14MP resolution crystal clear photos along with full HD 1080P video recording. It can be used for any outdoor applications, including home security, wildlife monitoring, surveillance, and scouting game. One of the best features of this camera is the lightning fast 0.3s trigger and recovery speed. The motion sensor has a range of 65 feet. The device is equipped with 3 auto PIR (Passive Infra-Red) sensors that can detect every motion with low power consumption. 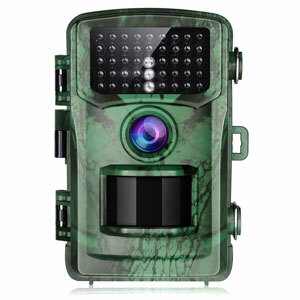 Campark Trail Game Camera also features a night vision mode, for which the camera is equipped with 42 pcs upgraded infrared LEDs without bright flash. This gives the brightest possible after-dark pictures in the range of 65 feet. Its 850nm invisible infrared technology provides super clear night vision. The game camera is equipped with a 120° wide angle lens as well as being waterproof. It allows you to get excellent broader view even on rainy days. 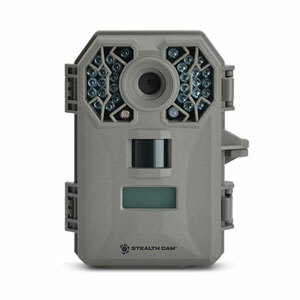 One of the top-rated trail cameras is the Browning Strike Force model. This new cam of the brand came out in 2014. It really captures the nature in its most undisturbed form and allows you to either snap photos or record videos. The videos offer high definition quality and sound. Their length can range from 5 seconds to 2 minutes. The motion-triggered camera provides 10MP picture quality and 100-foot flash range. For nighttime viewing, it features an infrared flash. Browning Strike Force also features 0.67 second trigger time and long battery life, so you will have minimal chances of any important opportunities slipping by. The unit runs on 8 AA batteries, though they are not included in the package of the camera. The device comes with the time-lapse viewer software. The unit is coated with an effective camouflage and has a compact design. Browning Strike Force Camera with all its great features is available for a modest price. Being the best rated trail camera and having mostly praise from users, shows how great this device is. 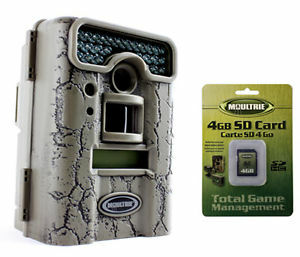 Our next choice for top rated trail cameras is Toguard Trail Camera. This 14-megapixel trail cam captures ultra-vivid images and full HD 1080P videos that are in color during the day and black and white at night time. The trigger speed is less than a second, 0.5s, and the picture delay can be as short as 5 seconds. This camera’s time of use can be extended to 8 months in standby mode. Toguard Trail Camera can reach out to 75 feet of capturing range even at night. The bright and clear nighttime images are provided by the 42PCS low-glow infrared LEDs. The low-glow technology makes sure that it does not spook anything that gets near it and does not intrude in natural life. It is IP56 certificated meaning that the device is waterproof, dust-proof, drop-proof and rain-proof. It has this protective case that can protect your trail camera from rain and dust damage even in tough environments. Last but not least, Toguard Trail Camera comes with a mounting strap or a mounting plate making it very easy to install. Foxelli Trail Camera is another mini cam that uses low-glow technology designed for not spooking the animals. The camera features 14 megapixels that produce amazing high-resolution images. 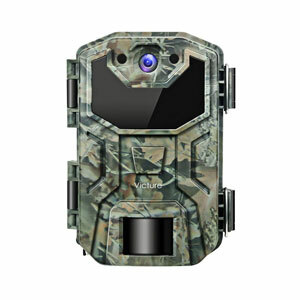 The device also captures 1080p full HD videos with sound recording for up to 10 minutes, so you can get a more realistic viewing of the hunting area. Moreover, it comes equipped with a 2.4” LCD color monitor, which can be used for previewing photos and videos, camera targeting and browsing the menu for easy operation. 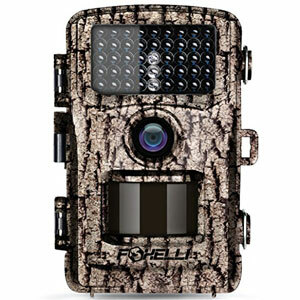 Foxelli Trail Camera is motion activated with up to 65-ft detection range. It also features a PIR motion sensor with 0.5-second trigger time and adjustable sensitivity. It is incredibly easy to set up. All you have to do is to insert 4 or 8 AA batteries and a MicroSD card up to 32GB (not included) and the device is ready to use. You can mount the camera on a tree with the included tree strap. Moreover, its operating system is very energy efficient and has a long battery life, up to 8 months in standby mode. Its IP65 certified case protects it from moisture, dust, sand, and dirt. Foxelli Trail Camera’s exceptional features include time stamp displaying moon phase and temperature, timer, real-time replay, hybrid mode, and interval recording among many others. sensor for triggering the camera. The interval can range from 5 to 10 seconds. After mounting the unit at your stand location and setting it up, the camera will continuously take pictures from dawn to dusk. After capturing all the day action, the Day 6 Plotwatcher condenses all the images into a 10-minute HD time-lapse video. So you can view the whole day animal activity in just minutes. The GameFind and MotionSearch software make it a breeze to review the daily videos. One more feature that makes this game camera stand out among other models is the greater field of view. The cam can catch images of the game no matter how far or near they are. It’s not triggered by short-range motion, so the area it captures can be 30 to 300 feet. This allows you to better see and analyze animal’s game patterns. The long battery life can last up to a full month of time-lapse coverage with one single set of batteries or in other measures one million video images. The most standout feature of Moultrie A-40 Game Camera is its illume-night sensor for the brightest and clearest nighttime pictures. The long-range IR flash reaches out to 70 feet and is paired with a detection range that’s also 70 feet, resulting in high-quality images even at longer distances. Moreover, low glow illumination technology, just like Moultrie’s long-range IR LED, is great at capturing images without alerting the target. It is impossible for animals to detect the flash unless they are looking directly at the camera at the moment of illumination. It features 14-megapixel resolution and 720 HD video with sound. 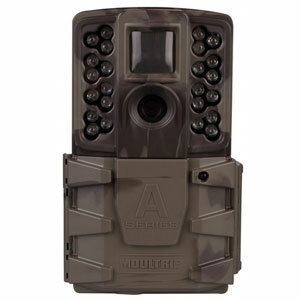 Moultrie A-40 Game Camera provides a fast image capturing with its 0.7s trigger speed. The images are the full color at daytime and monochrome infrared at night. For powering this game cam you can use eight AA batteries for up to 17,000 images. If you will set it up in harsh winter conditions, specifically lithium batteries are recommended for longer battery life. You can expect to get up to 17,000 images before changing batteries. The device provides the date, time, moon phase, and temperature details at the time of the recording. 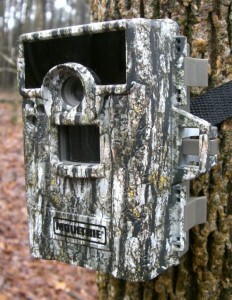 Victure Trail Game Camera is perfect for those who want to use it in rainy climates. Being IP66 certified, its waterproof cover makes it suitable to be used even in tropical rainforests as well as preventing the lens from getting misted. This device takes 1080P HD videos with sound and it offers a 16MP resolution with a trigger speed of 0.5s. Its automatic day and night sensor ensures vivid images at all times. Furthermore, its 940nm 38pcs no glow IR LEDs provide clear nighttime images and longer and wider visibility range in the dark without spooking the animals that come close. For faster continuous shooting, Victure Trail Game Camera features a PIR sensor with adjustable sensitivity, 60ft of visibility range and an angle of 90°. It offers four main working modes like photo only, video only, photo and video together, and time lapse. Moreover, its capture series mode can take up to 3 photos per detection as every detected movement is recorded in real time. The time lapse mode catches images over preset periods of time. There are also other modes available, such as PIR interval, PIR sensitivity, timer setting, password protection, and time stamp. The outstanding feature of TEC.BEAN Game Trail Hunting Camera is its patented motion freeze feature which makes it perfect for surveillance of reptiles, other cold-blooded animals or amphibians while reducing the inadvertent shots caused by the leaves or grass. The camera detects movement in the 75 feet range with its highly sensitive PIR motion sensor. It has 36pcs 940nm Black IR LEDs which allow it to take full-color photos or videos in daytime and black & white color photos or videos at night. It features 12MP resolution with 1 to 9 pictures per trigger, the trigger speed ranging from 0.6 to 0.8s. Plus, it can record 1080P HD videos with sound for up to 90s. TEC.BEAN Game Trail Hunting Camera is resistant against water and snow, which make it ideal for outdoor use like hunting, ecological monitoring, home surveillance etc. There is an energy-saving device in the lens of this camera which enables the standby current to be as low as 0.3mA. Thus, it can work in standby mode for about 6 months with 8AA batteries. Finally, it offers 5 capture modes as photo, video, time lapse, hybrid (photo+video), and motion detection. 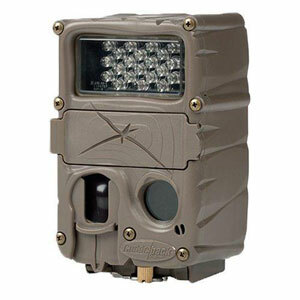 Cuddeback Trail Game Hunting Camera is another best value trail camera that also provides outstanding efficiency. Like the other models, it runs on a set of 8 AA batteries and accepts up to 32GB SD cards. Its 1/4 second trigger speed is up to 4 times faster than most other cameras. Plus, it has a super fast recovery speed which means that as it takes the first image within a ¼ second and recovers about 1 second later for the next shot. This Cuddeback long-range IR offers 20MP photos that are stunningly clear and it can record up to 30-second videos with audio. Plus, it features an advanced low-light CMOS image sensor for enhanced color and clarity. Its IR LEDs reach up to a range of 100 feet. Moreover, Cuddeback Trail Game Hunting Camera can be used in many modes such as zone control, separate day and night delays, fully customizable time lapse, burst mode, and others. 8, 4 and 2 MP. The Retina technology of the camera is a low light sensitivity technology which allows recording higher quality photos even in low light. For night recording, it features the matrix blur reduction that helps to reduce the motion blur. The 30 infrared emitters have a range of 80 feet. The video with audio recording can have the length between 5 to 180 seconds. The trigger speed for Stealth G30 is 0.75s. Stealth Cam G30 Game Camera features manual shot capability and is protected by secure lock password. The TRIAD 3-in-1 technology offers three recording modes to choose from. Still mode takes high resolution single photos while time-lapse mode with PIR captures an image if something walks by and rapid-fire burst mode can conduct one to nine exposures per triggering. Game cameras are devices made in tough designs with motion-activated features that record images, either as a still photograph or a video. But what are these trail cameras used for? The most common use of trail cameras is hunting and wildlife viewings. They are frequently used by professional researchers, hunters, and wildlife filmers. However, you do not have to be a hunter or a wildlife researcher to need a game camera. Many people ask “Can trail cameras be used for home security?” and the answer is yes. As well as becoming an important tool for hunters, they are also used for home security purposes. 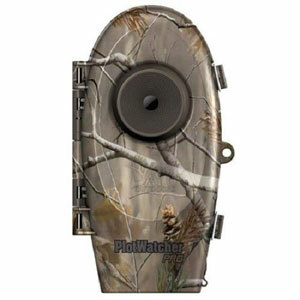 A trail camera takes out all the guesswork out of your blind or stands placements. It allows you to keep track of the animals that frequent your hunting ground and lets you see the places they visit the most. You don’t need to sit in the tree stands or blind and wait for an animal to appear. Game cameras do this time-consuming task for you. So, you can just view the collected images and if the current location of the camera didn’t yield any good results, then move it to another. Mostly all the hunting cameras come in a weatherproof design so that they are not affected by the cold, rain or dust. They usually feature a long battery life, so you can leave it strapped to a tree for long periods of time. Similarly, they can be used for indoor or outdoor security. Since most of them are motion activated, if you only want to see when something is going on around, game security cameras are certainly a good choice. Just like monitoring animals for hunting, you can monitor burglars, vandals, and all trespassers via your trail camera. Most trail cameras are motion activated and some are temperature activated. It means that whenever there is a movement or a temperature change in the detection range of the camera, it will be activated. Since cameras that use infrared technology are the most common, let’s explain the process using them. These cameras have a Passive Infrared Sensor, also known as PIR to recognize motion or heat by infrared radiation emitted or reflected by objects. The sensor itself contains infrared radiation sensing elements which are made of a material sensitive to infrared radiation and are placed behind optical filters or windows that allow the sensor to see a specified distance, the detection distance. As long as the sensor detects equal amounts of IR, the camera remains inactive. However, when the sensor detects a change in the relative IR from one element to another caused by motion and heat, then the camera becomes activated and starts taking photos or recording a video. There are various cameras available, with features that might be of more or less of importance to you. To get a product that would be worth the money and which would benefit your hunting experience, it’s important to understand what to look for. When choosing the best hunting camera, one of the important factors to consider is the type you need. Game cameras basically have two types. One of them is flash trail cameras, another one is infrared cameras and there is also wireless trail cameras. All have their own benefits. Below you can find out more about each one, and more detailed information about general game camera features. This type of game camera comes with an incandescent bulb like 35 mm. It features a trigger that needs to be pressed in order for the bulb to lighten up. Without the trigger being pressed, it acts as a normal camera. Flash trail cameras are also equipped with a motion sensor. It triggers the camera, it starts recording and snaps a photo of the area in front of the lens. These cameras can take pictures day and night, providing color images for day photos and black and white images for night photos. However, they have a shorter battery life and when they take a photograph, it can scare the animal. 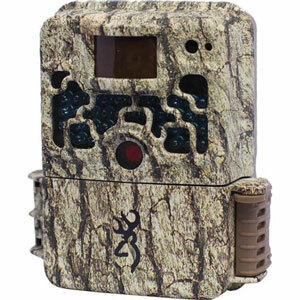 Infrared trail cameras are the latest type introduced to the market. But, what is an infrared trail camera? Well, they work by detecting the heat that the objects emit. They determine the amount of heat and color-code of that object according to the emitted infrared radiation. Instead of the flash effect, infrared wildlife cameras light up an LED panel, which is triggered by a sensor. The benefit of this type of cameras is that it snaps photos without drawing much attention and spooking the game. They also have extended battery life, so you can leave them out for longer. Another type of trail cameras is wireless/cellular. 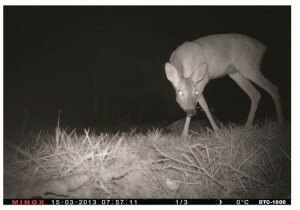 These game cameras use a SIM card or WiFi connection to instantly send the captured images to your electronic devices, such as phone or tablet. This type of cameras is especially useful for surveillance use, as you can at once see who is trespassing on your property. By reading our best wireless trail camera article you will be sure to find a high-quality product. With so many trail cameras on the market today, it can be confusing to understand which features are important and which are just added for marketing reasons. To help you make the best decision, we have created this guide on what to look for when purchasing a game camera. You can start to narrow down the choice of game cameras by deciding the type of flash you need. It can be infrared or incandescent, both of which has its own advantages and disadvantages. There are also other types, such as no glow infrared, red glow infrared, and white LED flash cameras. As we have mentioned above, infrared allows taking images at night without emitting a bright white flash. So the photo will be snapped as discreetly as possible, without spooking the animal and anyone seeing the flash. When the flash goes off, there’s only a tiny red dot on the camera. So, if you are wondering “Can deer see the trail camera flash?“, the answer is most probably not with IR trail cameras. 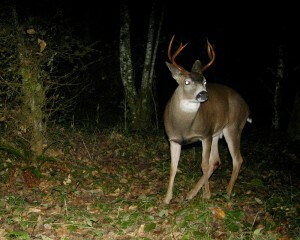 In order for deer to see the flash, they need to be looking directly at the camera at the exact time of the photo shoot. Their downside is that they produce only black and white nighttime images. Incandescent cameras, on the other hand, give a color photo clearly showing the type and size of the game. So if you prefer seeing the true color of the animal, an incandescent camera would be a better one to choose. The crisp nighttime images are provided by the flash, which is much like from a digital camera. That can scare away the animals and uses up more of battery charge. These two types also differ in recovery time. It’s shorter for the infrared camera, so it will be able to snap more photos in a shorter period of time, while for the incandescent camera it will be less. The no glow infrared cameras or black flash cameras feature a flash that stays invisible to the human eye. This can be especially useful if you are using the camera for security and home surveillance. The intruder or the passerby will not see that the camera is taking a picture of him. The animals will also not notice the camera, so you can be sure that the camera will capture an image of the animal and it will not run away. However, the downside of this type is that no glow cameras produce darker and grainier nighttime images, and the flash range is lesser compared to other types. Red glow cameras do emit light when taking a picture, but it’s just a faint red glow. If you are not looking directly at the camera, you probably won’t notice the flash. Red glow cameras are typically brighter and clearer than no glow infrared cameras. White LED flash is the only type of flash that is capable to produce color images and videos during both day and night time. The LEDs stay on as the camera records a video, resulting in color images. The downside is the bright light of the flash, just like with the incandescent flash cameras. Any object, be it an animal, an intruder, or just some kids with nothing to do, that is passing by will be alerted to its presence. So anyone who sees it can potentially steal it. So which flash option is the best? A lot of the game camera users prefer the infrared option due to a number of reasons. However, the LED flash has its benefits as well. With an LED flash trail camera you can expect to have superior picture quality. They will be more crisp and clear and have higher resolution. There’s also the benefit of capturing color photos both day and night time. However, the bright light of the flash can spook the animal. Also, LED flash cameras to need some time to charge before being able to take the next picture. This results in longer recovery time and higher power consumption. On the other hand, infrared cameras can only produce black and white images for night time recording. They might not be as clear and can have some blurriness. However, they stay virtually invisible to passing objects, so there’s less chance of it getting stolen or it scaring the animal. Also, the longer battery life and the faster trigger time is also definitely a huge benefit. So if you care more about a higher quality of pictures or if you’ll be using the camera just to watch the wildlife in your backyard, the LED flash camera might be the better choice for you. But if you’ll be using the camera for hunting, scouting, or home surveillance purposes, an infrared camera is more recommended. Another important aspect of trail cameras that should be taken into consideration when buying a trail cam is its detection circuit. It consists of 3 features: the detection zone, trigger time and recovery time. When choosing the camera, it’s important to check the specifications the detection width and distance. The detection zone tells you the maximum distance between the camera and animal for it to be able to trigger the animal. The zone includes the width and distance. The range is measured in feet. Lower priced models usually offer around 50 feet, while more advanced models will reach 85 or more feet. Unless you are mounting the camera in a spot that has a narrow field of view, you should ensure that the camera has a wide detection range. It would be a shame for the animal to be just a couple of feet outside the detection zone. So we recommend investing in a model with better width and distance. Some trail cameras claim to have a higher detection range than they are actually capable of. So it’s useful to check reviews before buying a certain model. Trigger time means the time between the moment when the hunting camera picked up the heat and motion needed for triggering the shot and when it actually snapped the photo. In high-end cameras, the speed is usually a fraction of a second. It’s best to look for a trail camera with fast trigger speed, as it makes the difference between capturing the animal in the shot and just missing it. Look for cameras that have a trigger speed of less than 1 second. Otherwise, by the time the camera will be triggered, the animal will be out of the range. The fastest speed you can find on the market today is just 0.14 seconds. Some of the slower models can have the trigger speed as slow as several seconds. A slow trigger speed will probably only work fine for you if you will be using the camera if you will monitoring a food plot or game feeder. In this case, the animals will be moving around the area slowly, so the fast trigger speed will not be that necessary. Recovery time means the amount of time that the camera needs before being able to capture the next picture. So obviously a quicker recovery time will give you more photos. Older trail camera models had the recovery speed as slow as 30 or 60 seconds. This means you could have only one or two pictures per minute. In today’s cameras, you will find it as fast as just several seconds. However, cellular and wireless cameras have a slower recovery time due to the fact that they also need time to transmit the first captured image. After that, they are ready to take the next picture. Image quality is also one of the most important features of a hunting camera. These devices also offer a varying degree of view. It means the width of the angle that the camera lens can capture. The standard degree is 50, but it’s even better if you can get one with a degree above that. There are many wide-angle (120°) cameras available on the market. 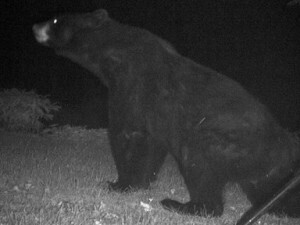 During the day trail cameras produce a full-color picture and video, but the images taken at night are black and white. The nighttime images are taken using infrared flash technology. Another important factor is a resolution. It’s a number of pixels an image can contain. Like with any other types of camera, higher resolution means crisper and clearer images, and also a higher price tag. With lower resolution cameras, you will still the animal in the shot, though it won’t be that clear. So it’s up to you to consider how important it is to have a clear image of the animal. We recommend looking for a camera with a picture resolution of at least 8 megapixels. With high resolution, you can clearly view the animal and also zoom in on the picture. 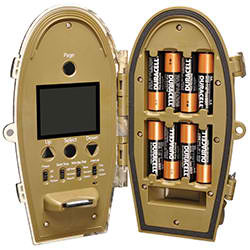 Most of the game cameras are powered by batteries. They can run on AA, C or D batteries. Fewer of the models, you can find, use 6 and 12-volt batteries. Like with many other features, lower price means shorter battery life, while higher priced models will work longer. However, keep in mind that by choosing a camera with short battery life, you will need to continuously check and replace the batteries, which can also be costly and time-consuming. Also, infrared cameras compared to incandescent ones will work longer, as they use less of battery life. Temperature is also a factor that affects the battery life. If you will place it in a cold environment, you will be replacing the batteries more often. If you’re living far away from the mounted game camera location, having good power for your camera is a real concern. On many of the cameras, you will find the batteries lasting months. However, on others, it will be just a few weeks. So the batteries should certainly not be overlooked. Whichever type of batteries you choose, they should be of good quality. For example, Energizer and Duracell are good options. Some of the people prefer the rechargeable NiMH batteries. On one set you can expect to have about 3-4 years of battery life. Again, the battery life will depend on the quality of the battery itself. The advantages of NiMH batteries are saving money in the long run and lesser impact on the environment as you will leave fewer batteries in the landfills. The disadvantage though is that they usually use lower voltage compared to alkaline and lithium batteries. Fully charged they produce about 1.4 volts. But on a working level, it quickly decreases to 1.2 volts. However, most cameras work on a 1.5 volt/cell scenario. Due to this, the camera can think that the batteries are dead and will tend to shut itself off. This is mostly true for the trail camera models manufactured before 2011. Most of the more recent models are compatible with rechargeable batteries. Avoid using NiMH batteries during periods of really high temperatures. During high heat periods, the battery life will sharply decline. When the temperature rises above 90 degrees it’s best to switch to alkaline batteries. Also, remember that the battery should be put to use right after fully charging. After being removed from the charger the battery will immediately start to self-discharge, even if you are not using it. 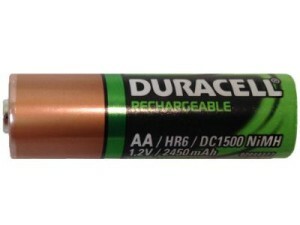 The most widely available batteries are alkaline. They are also the least expensive option. However, they have their drawbacks. 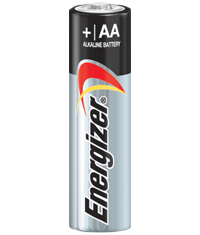 The alkaline batteries come with a power voltage of 1.6. But the minute they are inserted into something, the power at once starts to drain. The decrease in the voltage level will be shown on the quality of the pictures taken. In the beginning, you will see the brilliant flash producing stunning photos with good color and brightness. But as the flash range potential of the camera will diminish, you will see a significant decline in the picture quality. You will see every subsequent night photo less illuminated and it will continue this way up to the point where the photos will be just pitch black. Also, alkaline batteries don’t work well at cold temperatures. In sub-freezing weather, they can lose up to half its capacity. So overall, alkaline batteries might be cheap and available everywhere, but they don’t provide consistent power and don’t work well at low temperatures. 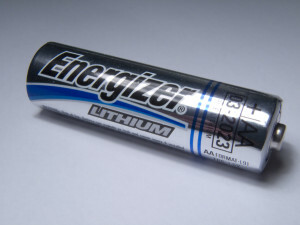 The most dependable type of battery and the type I would recommend as well as the lithium type. They offer a number of benefits. First of all, they provide the most power. So the pictures result in better quality as there’s more light produced by the flash. The highest voltage for the lithium batteries is 1.8 volts. The high voltage also means longer battery life and longer time for your camera to be able to stay in the field. The chemical characteristic of lithium batteries also allows them to stay unaffected by low temperatures. Unfortunately, if your camera is designed for use with D cell batteries, the lithium batteries won’t work. But if the camera requires C cell, you can use the lithium ones as they measure exactly the same in size. Inserting AA lithiums instead of C cells makes a great substitution as you will be able to benefit from the higher voltage. The downside to lithiums is that they are more expensive and you also have to throw them out when the battery wears out. Optionally, you can connect an external battery for your trail camera’s power supply. On most cameras, you will find either a 6v or a 12v input for an external battery. This makes a good solution if you live far away and can’t regularly change the battery. Keep in mind though that the battery should be designed for use with exactly your model. Rigging the connector can result in frying your camera. If you want to ensure continued power supply for your game camera, you can choose the solar panels option. It makes a great substitution for standard batteries if you’ve got your camera placed anywhere where there’s the clear sky above. Using the sun’s power you can have the camera working in the field for several years and not have to worry about the battery power running out. When choosing a solar panel for your trail cam, make sure that it matches the batteries required for the camera. If the camera works on 6 volts, then you should also choose a 6-volt solar panel. Some of the higher-end cameras also offer a video option that allows recording the activity. Just like with photos, if you want clearer videos you need higher resolution. 640p x 480p resolution is considered as standard definition, while 720p or 1080p are HD, high definition. Some game cameras even record videos with sound. This feature is useful as it allows getting more sense of the animal’s movements because even if the animal moves out of the camera’s view, you will still be able to hear it. Audio also adds more realism to the video clips. The length of the recording time varies from one camera to another but it is generally between 3 to 300 seconds. Generally, you can choose the length of the recording from the settings menu. It’s important to note, though, that video clips take up a large amount of memory, so you will need a higher capacity SD card. Moreover, video recording uses up a lot of battery power so if you are planning to record videos be prepared to change batteries more often. For memory storage on your camera, you have two options: internal memory or an SD card. The benefit of internal memory is that you don’t need to additionally purchase an SD card. However, you won’t have as much storage capacity and to transfer the images to your computer you will have to take down the entire unit, carry it home and hook it up to a computer. SD cards are available in various storage amounts. Also, it’s more convenient to view the images by just taking out the SD card and popping it into your digital camera or computer. It’s recommended to choose the external memory card. First of all, there’s no hassle of removing the camera to view the pictures it has captured. You can get an extra external memory card and just swap it with the one inside. So it’s much easier to get all the pictures and there’s no downtime for the camera. An external memory card can also be easily upgraded. Whenever you decide to upgrade, you just get a higher capacity card and replace it instead of the old one. If you are using internal memory, it would probably cost as much as getting a new camera. In the characteristics of most of the trail cams, you will find that they are compatible with 36 GB SD cards. On some cams, you can also find compatibility with higher capacity, while on some more budget ones it can be as low as 8 GB. However, think twice before choosing such low memory capacity, as it will bring a lot of hassle of frequent deleting of the written data. The memory capacity you need depends on your usage of the camera, the settings you choose. If you will be using a video mode, higher picture resolution, or a multiple shot setting, you will need a vast memory. To get the best results, stick to the recommended storage capacity for your cam. This might not be the most important feature, but those who use it, don’t regret paying a bit extra for it. It’s not available on all trail cams but it makes a useful feature to have if the location of the game camera is a long distance from home or if you want to see the images at once without having to use the computer. When setting up the camera it allows you to get the perfect angle and height. So, you won’t have to take the camera home and only then realize that the camera was mounted in the wrong place. If your memory cards run out of storage capacity, you can at once view the captured images and delete the unwanted ones to free some space. However, on some of the cameras the screen is quite small, so you can’t clearly see the details in the picture. Trail cameras are not such a cheap investment, so you should take care to protect it. There’s always the chance that it can get stolen or dislodged due to extensive outdoor use. So it’s best to minimize that chance. You can get a security box for your camera. They are usually made of steel and this strong material will protect the unit from direct blows and scratches. The security box should have a lock mechanism and it should be foolproof. Anti-theft cables which are made of thin twisted thin cables put together also work. But they don’t provide 100 percent protection. Cable cutters still work. 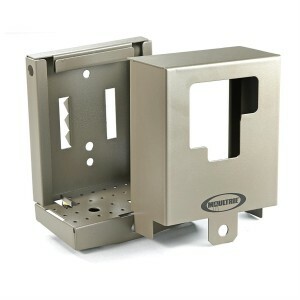 Even if you have a security box, where to mount your trail camera and how to hide your trail camera from humans? 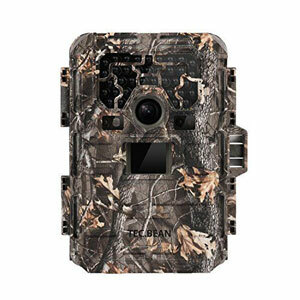 Mostly trail cams come in camouflage designs which helps them to blend in with their background. As a precaution, you can try mounting your camera higher as a thieve is less likely to look up looking for cameras. However, the best position for a camera for best quality photos is about 2-3 feet off the ground. Lately, most trail cameras have a security password log in feature which is an additional precaution because it prevents anyone who does not know the password from using your device. Therefore, it may also be a deterrent safety measure against theft. Some other features that you can also find use in trail cameras include a time-lapse mode and hybrid mode. The time-lapse mode works by taking pictures with a set time interval. In this mode, it can capture an image of the animal even if it’s outside the detection zone. The flash is triggered by time, rather than by motion of the animal. This is useful for viewing a movement pattern of the game during the day. In hybrid mode, the camera will take both a photo and a short video simultaneously. Mostly game cameras don’t really differ in design. They usually come in small sizes and camouflage, rough design. This is done in order to be unnoticeable to the animals. In trail camera industry there’re many companies competing on the market. Some are more popular, while others are just starting out. However, to make sure that you get the best quality game camera it’s best to choose one from a reliable brand. On our site we review the most popular brands, so you can be assured that you are getting the best value. Below are some of the most popular brands on the market today. Campark is an American company and it is definitely one of the most recognizable names in the hunting industry. In addition to game cameras, they have many other products such as action cameras, dash cameras etc. for the camera lovers. 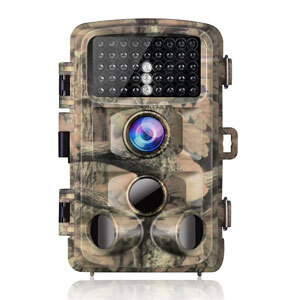 Campark also offers a good range of high-quality game cameras. They are available with different sets of features and in a different price range. Whether you are looking for an infrared, incandescent, or wireless camera, you will find one in the Bushnell’s vast line of products. Their cameras offer top user experience with a wide range of features, such as no glow infrared, HD video recording, high-resolution images, multiple setting options, wireless technology, and other. Another leader in the industry is the Moultrie brand. They have a fine line of game cameras and accessories that can be used for both home surveillance and nature observing. They also offer high resolution and vivid color images. On many of the models, you will also find high definition video recording feature. One of their most impressive models is the Panoramic 150, which offers the widest angle of the detection zone. Toguard Electronics Co., Limited is a professional Chinese manufacturer of portable digital videos and audio recorders, especially dash cameras and hunting cameras. Their products are known for their high-quality features, and their game cameras are no exception. In the Toguard line of products, you can find both high-end cameras and more simple and affordable models. Browning is one more brand that offers some of the best game cams on the market. In addition to trail hunting cameras, the brand also offers firearms and optics. The features of Browning cameras that really stand out include Night Vision infrared illumination, time-lapse image capturing, fast trigger speeds, and exceptional image quality. There are several more popular brands worth mentioning. They have a smaller line of products, but some of their game cameras also made it to our top 10 list. These brand names include Tec.Bean, Victure, and Stealth. Using a high-speed SD card. These high-speed SD cards are designed for digital and high-end point and shoot cameras. They don’t work well with game cameras as they don’t write as fast to the SD card due to their tradeoff with long battery life. So using a high-speed SD card with your trail camera can give you some strange results. Viewing the contents of the SD card on a digital camera. A lot of people do this to view the images in the field. There’s nothing wrong with doing that, but you can cause a problem if you try to delete the images using the digital camera. A game camera needs a specific file structure to be able to save the files to the SD card. Deleting them on the digital camera can cause the camera to rewrite those files. So if you would like to delete some of the photos using the digital camera, first reformat the files on the game camera. This will give you better results. Using low quality or different batteries. Batteries are not created equal, so not every battery will be suitable for your game camera. Also, don’t go for cheap batteries. Duracell and Energizer cost more for a good reason. For optimal results always use lithium batteries. They last longer and work better. Mounting your camera facing east or west. As with any camera, you don’t want it taking pictures while facing the setting or rising sun. You will definitely not get the high-quality results you need. So whenever possible have your camera mounted facing either north or south. Mounting the camera too high or too low. For best results, it is recommended for the camera to be at about 2-3 feet above the ground. In some cases, if you have to mount the camera higher, you can point it more downward so it will be able to detect whatever you are after. Here is a great article about common mistakes with trail cameras. Always buy and use quality batteries and make sure that they are in perfect condition at all times, fresh and fully charged. Change all batteries together, at once and remember that your camera is as strong as its weakest battery. Also, remove all the batteries before storing your game camera during the offseason. Remember to update the firmware of your trail camera and check for new updates regularly. Manufacturers find bugs, weaknesses, or breakdowns in the firmware, and release updates to fix them in order to keep your camera working more efficiently. Firmware is offered as a free service and all you have to do is to install it into your trail camera. Always carry your trail camera in a separate bag. Never stash it in a bag with the other stuff. Handle it gently at all times and toss it on the couch or the bed. Game cameras are electronic devices and are fragile. Beware of all kinds of insects that could get in your camera out in the open. Ants, for example, are a threat. You can use insecticides to keep them away but never spray it directly onto the camera but rather around it to prevent any kinds of pests from approaching. Keep all the components of your trail camera dry at all times. Make sure to check the inside of your trail camera’s housing to detect any moisture build up and if there is dry it out. Clean the lens of your game camera before setting it up on the field and after retrieving it. Manufacture’s user guides have instructions on how to clean the lens of your trail camera, follow them through. This is crucial to get images of high resolution. After each trip, remember to transfer all the images to your computer and then format the SD card. When you are storing your game camera away, take the SD card out first. Your camera continuously takes photos but there are no photos saved. You may be experiencing a battery problem. Check if the batteries are correctly placed and if they are but it is still not working, change them with fresh batteries and try again. There might be an SD card problem. Remove the SD card and format it which will erase all the data from the card and reset your camera. To format an SD card, put it in your computer, go to “My Computer” menu, right click on the folder the SD card is under, select “Format” and then click “Start”. Another SD card problem might be that the one you are trying to use may not be proper for your camera. Make sure that you are trying an SD card that can be paired with your trail camera and that they are compatible. Check if you have enough storage space in your memory card. If it is full, new photos will not be saved. You will need to clear some space by deleting some of the photos so that you can save new ones. If none of the above works, you will need to take your camera to a professional, unfortunately. How many trail cameras do I need per acre? First of all, having as many cameras as you can afford is not a good idea at all. The more cameras that you have on your land, the more you intrude on nature. Having more cameras means that you will need to go around checking on them and each time you do so you spook the animals around and after a while, they might stop showing up for good. Generally, it is stated as one camera per every 100 acres but this is too general. The shape of the area to be covered and the movement habits of animals differ too much to be generalized like this. Instead of trying to place more cameras, it is a better idea to find the best locations for the best activity and the best view. In short, try to be more effective with less number of cameras instead of trying to increase the number. Will a trail camera work through glass? It depends on the flash type of the camera that you use. When you place a camera with the flash behind glass it will work but because of reflection, the images may be distorted. You will have a bigger problem at night due to the flash because its bright reflection will prevent you from seeing anything behind the glass. On the other hand, cameras with PIR sensor will not work through the glass at all. A PIR sensor requires both motion and heat changes to be activated. When placed behind glass, it will only see the radiating patterns from the glass and nothing past the glass. Therefore, it will not work properly. In the above trail camera reviews were mentioned the most popular and best-rated game cameras. These models also come with the top-notch features that will enhance your wildlife scouting or hunting experience. If you are looking for the best trail camera, then you are sure to find among these 13 models the one that would best suit your needs. Trail cameras can be used for both watching wildlife moving patterns, hunting and security purposes. The best game camera for the money should come in a rugged and weatherproof design, should give high quality and resolution images, have fast trigger speed and recovery time.